"Zulkifli" redirects here. For people named Zulkifli, see Zulkifli (name). An engraving of Ezekiel, by Gustave Doré (c. 1866), who remains the most commonly identified figure with Dhul-Kifl. Dhul-Kifl, or Zul-Kifl (Classical/ Qur'anic Arabic: ذَا ٱلْكِفْل / ذُو ٱلْكِفْل [Dhū 'l-Kifl/ Dhā 'l-Kifl]; "Possessor of a Fold") (c. 600 BCE) is an Islamic prophet who has been identified with various Hebrew Bible prophets, most commonly Ezekiel. It is believed that he lived for roughly 75 years and that he preached in what is modern day Iraq. Dhul-Kifl is believed to have been exalted by God to a high station in life and is chronicled in the Qur'an as a man of the "Company of the Good. Although not much is known of Dhul-Kifl from other historical sources, all the writings from classical commentators, such as Ibn Ishaq and Ibn Kathir, speak of Dhul-Kifl as a prophetic, saintly man who remained faithful in daily prayer and worship. And (remember) Isma'il, Idris, and Zul-kifl, all (men) of constancy and patience. And commemorate Isma'il, Elisha and Zul-Kifl: Each of them was of the Company of the Good. 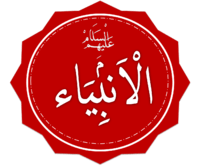 In both cases, Dhū'l-Kifl is mentioned in the context of a list of Qur'anic prophets, including many others not mentioned in the ayat quoted above. The name Dhul Kifl literally means "the one with a kifl", using a type of name where ذُو dhū ("possessor of") precedes some characteristically associated feature. Such names were used of other notable figures in the Qur'an, for example ذُوٱلْنُّون Dhū 'l-Nūn / ذَا ٱلْنُّون Dhā 'l-Nūn "the One with the Fish", referring to Jonah, and ذُوٱلْقَرْنَيْن Dhū'l-Qarnayn / / ذَا ٱلْنُّون Dhā 'l-Qarnayn "He of the Two Horns" Kifl is an archaic Arabic word meaning "double" or "duplicate", from a root meaning "to double" or "to fold"; it was also used for a fold of cloth. The name is generally understood to mean "one of a double portion". Some scholars have suggested that the name means "the man with the double recompense" or rather "the man who received recompense twice over", that is to say that it is a title for Job, as his family was returned to him according to the Qur'an and the Book of Job. Some are of the opinion that Dhul Kifl could be Ezekiel. When the exile, monarchy, and state were annihilated, a political and national life was no longer possible. In conformity with the two parts of his book, his personality and his preaching are alike twofold, and the title Dhul Kifl means "the one to double" or "to fold". Dhul-Kifl would literally mean "possessor of, or giving, a double requital or portion"; or else, "one who used a cloak of double thickness," that being one of the meanings of Kifl. The commentators differ in opinion as to who is meant, why the title is applied to him. I think the best suggestion is that afforded by Karsten Niebuhr in his Reisebeschreibung nach Arabian, Copenhagen, 1778, ii. 264–266, as quoted in the Encyclopedia of Islam under Dhul-Kifl. He visited Meshad 'All in 'Iraq, and also the little town called Kifl, midway between Najaf and Hilla (Babylon). Kefil, he says, is the Arabic form of Ezekiel. The shrine of Ezekiel was there, and the Jews came to it on pilgrimage. If we accept "Dhul al Kifl" to be not an epithet, but an Arabicised form of "Ezekiel", it fits the context, Ezekiel was a prophet in Israel who was carried away to Babylon by Nebuchadnezzar after his second attack on Jerusalem (about B.C. 599). His Book is included in the English Bible (Old Testament). He was chained and bound, and put into prison, and for a time he was dumb. He bore all with patience and constancy, and continued to reprove boldly the evils in Israel. In a burning passage he denounces false leaders in words which are eternally true: "Woe be to the shepherds of Israel that do feed themselves! Should not the shepherds feed the flocks? Ye eat the fat, and ye clothe you with the wool, ye kill them that are fed: but ye feed not the flock. The diseased have ye not strengthened, neither have ye healed that which was sick, neither have ye bound up that which was broken......". Al Kifl (Arabic: بن الكفل; ibn ul-Kifl) is a town in southeastern Iraq on the Euphrates River, between Najaf and Al Hillah. Variant names for the shrine within Al Kifl are: Dhu'l Kifl Shrine, Marqad Dhu'l Kifl, Qubbat Dhu'l Kifl, Qabr al-Nabi Dhu al-Kifl, Dhu al-Kifl Shrine, Zul Kifl Shrine, Qabr Hazqiyal, Hazqiyal Shrine. Hazqiyal is the Arabic transliteration of the Hebrew Y'hezqel, which was mostly utilized by Sephardi Jews after they adopted Arabic. This indicates that the Jews equated Ezekiel and Dhul-Kifl, and Muslim exegetes followed suit. The Iraqi authorities assert that in 1316 (715-16 AH) the Ilkhanid Sultan Uljaitu acquired the rights of guardianship over the tomb from the Jewish community. Consequently, the shrine was renamed according to the Islamic nomenclature for the same prophet. Sultan Uljaitu added to the structure by building a mosque and a minaret. As well he restored the shrine implementing some alterations made clear by comparing its present state with pre-Ilkhanid travelers' descriptions. The site remained a Muslim pilgrimage place until the beginning of the nineteenth century when Menahim Ibn Danyal, a wealthy Jew, successfully converted it back to a Jewish site and restored it. The minaret remained as the only witness to its tenure as an Islamic site. Although the mosque and minaret were built in the 14th-century, the antiquity of the shrine and grave cannot be determined. Although the identification with Ezekiel is the most commonly held, Dhul-Kifl has also been identified variously with Joshua, Obadiah, and Isaiah. Mirza Tahir Ahmad, the Fourth Caliph of the Ahmadiyya Muslim Community, identifies Dhul-Kifl with the Buddha: Dhul-Kifl in this interpretation meaning "of Kapeel". ↑ Ezekiel 34:2–4: "Son of man, prophesy against the shepherds of Israel; prophesy and say to them, even to the [spiritual] shepherds, Thus says the Lord God: Woe to the [spiritual] shepherds of Israel who feed themselves! Should not the shepherds feed the sheep? You eat the fat, you clothe yourselves with the wool, you kill the fatlings, but you do not feed the sheep. The diseased and weak you have not strengthened, the sick you have not healed, the hurt and crippled you have not bandaged, those gone astray you have not brought back, the lost you have not sought to find, but with force and hardhearted harshness you have ruled them."